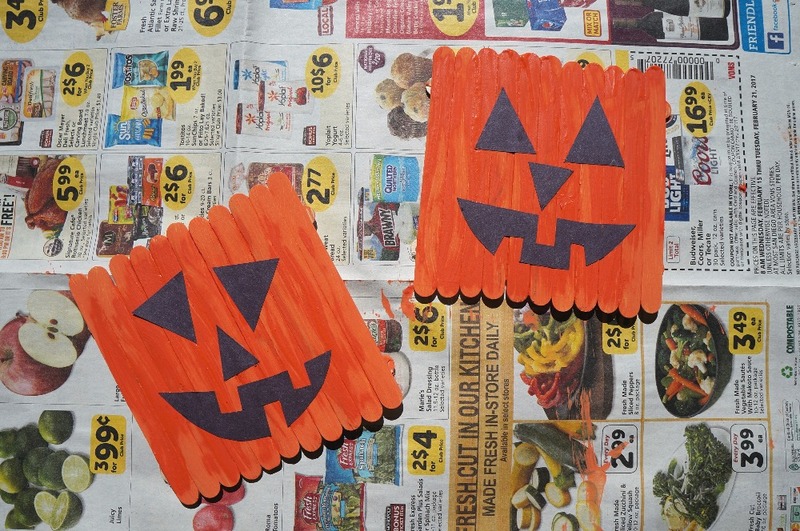 Halloween Popsicle Stick Pumpkins Craft - A Fun Jack-O-Lantern Project! Halloween Popsicle Stick Pumpkins Craft – A Fun Jack-O-Lantern Project! 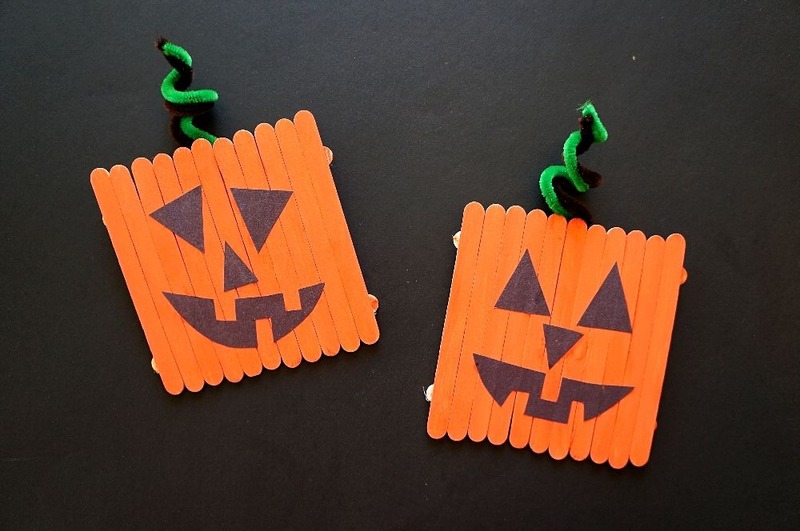 These popsicle stick pumpkins are so cute, and such fun Halloween projects for kids! They will love painting these Jack-O-Lanterns, they are a really cute pumpkin art projects. Are you looking for fun Halloween art projects to do with your family this October? 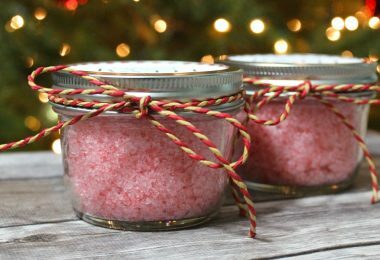 We love to get into the spirit of the season, and we have a fun idea to try making this Halloween! In the past, we’ve made some Halloween ghost pops and, one of our favorites, this DIY Halloween Candy Wreath to put on the door for our trick or treaters when we’re not home on Halloween night. This easy pumpkin crafts involves painting and making a Jack-O-Lantern face, great for hands on young children that are preschool and early elementary age. Whether you choose to use these as home decor (like we did), give them as gifts, or just love to make fun projects, this Jack-O-Lantern craft is a good one to try. 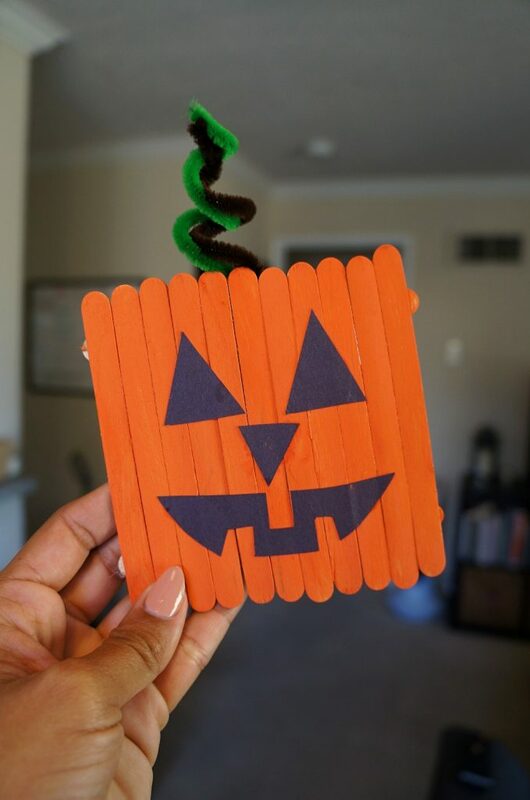 To make this pumpkin popsicle sticks craft, all you need are a few items that you more than likely already have at home. 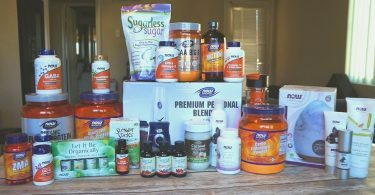 If not, I will link you to where you can buy everything in the materials list below. It’s time to roll up those sleeves and get crafty with these popsicle stick pumpkins! To get started, align 11-12 popsicle sticks vertically next to each other, side-by-side. 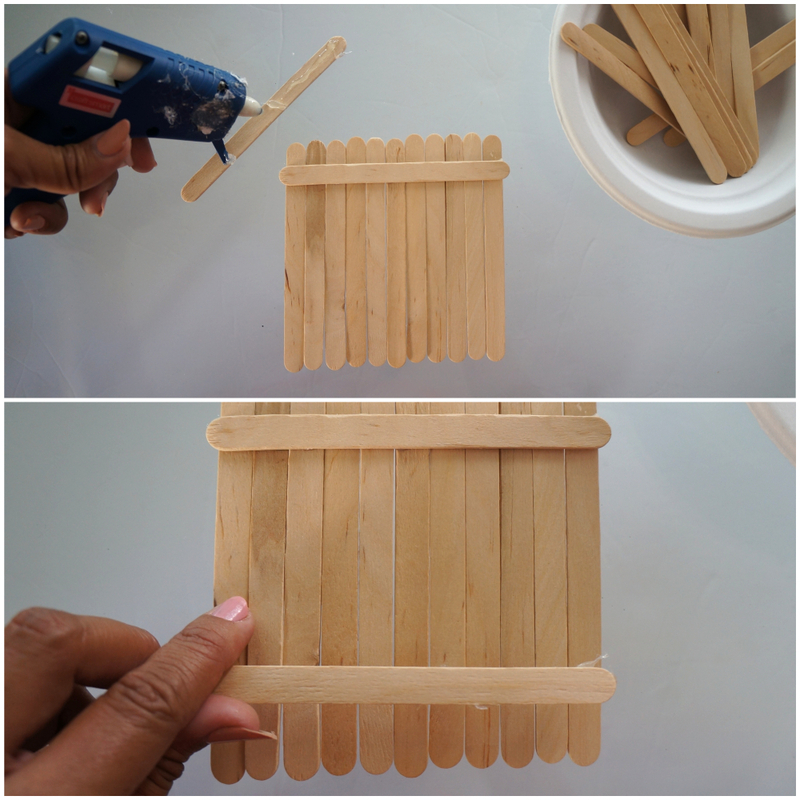 Heat your glue gun and add glue to two popsicle sticks. Adhere them horizontally to the back of the pumpkin craft base, one at the top, one at the bottom, making sure all popsicle sticks are close together and touching. Allow this to cool for a few minutes. Step 2: Paint that pumpkin! Lay down some newspaper to protect your table and set up the paint. Flip the wooden pumpkin craft base over to the front and have your child begin painting. Make sure they cover the whole thing with orange paint, just like a real pumpkin. 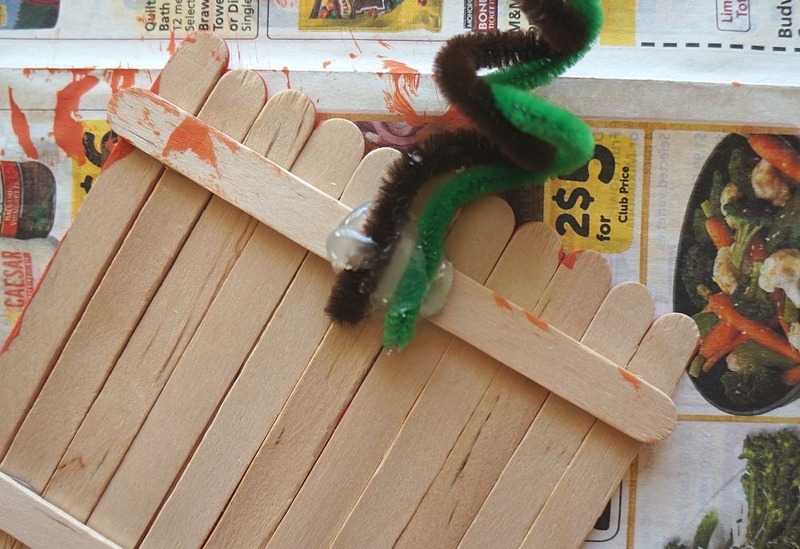 If you can paint thin layers, it will help the popsicle stick pumpkins dry faster. As you allow the paint on your pumpkin art project to dry, help your child draw and cut out the pieces of the Jack-O-Lantern’s face. Grab the black construction paper and use a pencil to draw two triangles for the eyes, a smaller single triangle for the nose, and a creative mouth with some missing teeth. Once they are happy with these pieces, cut them out and glue them pencil side down with school glue. Cut your pipe cleaner in half and twist it around your index finder to give it a coiled look. Squeeze out a puddle of hot glue on the back at the top of the pumpkin and affix coiled pumpkin stem to your liking. 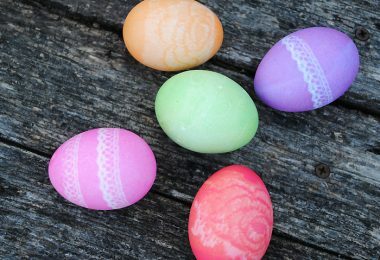 Make sure it is sticking out over the top so it can be seen from the other side. 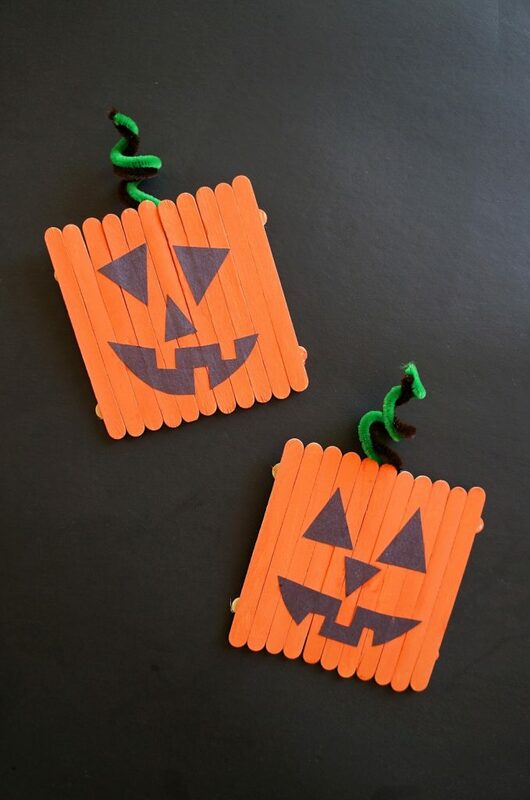 And there you have it, your very own popsicle stick pumpkins craft, an easy Halloween projects for kids! I love cute Halloween arts and crafts! Easy Halloween Ghost Lollipops – Cute Halloween Treats for School!